Dr. Avaliani is a leading female expert on Upper East Side in New York City specializing in non-invasive cosmetic and laser surgery. She is a Member of American Academy of Cosmetic Surgery and a Diplomate of American Board of Medical Specialties. She also achieved RealSelf Top Doctor status for her contribution. Her practice philosophy focuses on prevention and slowing down the aging process by using the latest world renowned skin and laser treatments available on the market. Her high-end clientele includes many celebrity models, actors, TV hosts, celebrity makeup artists, hair stylists, fashion designers, and even billionaires. Her expert opinion has been featured in many publications including Social Life Magazine, The Hamptons, Today.com, Teen Vogue, Reader’s Digest, Huffington Post, Latina Magazine and more. Dr. Avaliani’s practice offers the latest state-of-the art technologies, with more than $1 million of the latest state of the art laser equipment available. Her practice belongs to a handful practices in the entire country to be named “Cynosure Center for Excellence” for continually providing the best treatment protocols with the best results for her patients. She is a cynosure expert and top SculpSure and PicoSure provider in NYC. She designs and develops treatment protocols and is a CynoSure Laser trainer to her peers. She is a top expert NovaThreads ® provider in New York, offering revolutionary FDA approved technology in non invasive thread lift procedure using the safe and absorbable PDO thread sutures. Dr.Avaliani shares her expertise by being a certified NovaThreads trainer in NYC to her peers from around the country. Dr. Avaliani has “magic light touch” and artistic skill for details. 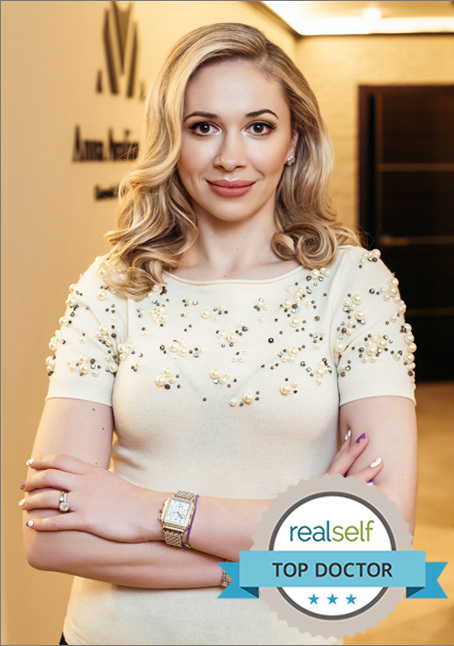 She is highly skilled in performing the latest laser cosmetic surgery treatments for the face and body. She is a National Master Peer trainer for advanced injection techniques on neuromodulators (ex: BOTOX® and Dysport ®) and dermal fillers (ex: Juvederm® and Restylane ®). She also perfected the art of microcannula injection technique to deliver most comfortable and bruise free injections to her patients. An ever-growing share of Dr. Avaliani’s practice comes from word of mouth. “My consultations are detailed and bespoke for each patient. I am not afraid to turn away a patient if they are not the right fit.” Not everyone is a candidate for every procedure, and not everyone has a realistic expectation. Expertise and honesty are her hallmarks. Dr.Avaliani’s offers a unique Bespoke Beauty Treatments. She believes that an important aspect of the “whole body approach” is to help patients feel youthful, more attractive and to regain their confidence. “There is no one treatment that fits all”. Dr. Avaliani is a founder of Cosmetic & Laser Surgery Center in New York City. She and her team of highly experienced and licensed laser technicians are there to answer any questions for you as well as provide the best service with the best results. Her office offers exceptionally unique, professional, welcoming, and most relaxing atmosphere. Her practice uniquely caters to both Men and Women as they all trust her expertise and her skillful eye for detail. The key elements of every single consultation performed by Dr. Avaliani, is about carefully listening to her patient’s’ concerns and reflecting on them by setting only the most realistic expectations and being very honest, even if it means telling: “No”. Patient education and effective communication at the hands of Dr. Avaliani and her team results in outstanding results and extremely satisfied family of patients. Dr. Avaliani has lived and grew up in New York. Upon completion of her medical degree from St. George’s University, she completed her residency training at a prestigious NYM/New York Presbyterian-Weill Cornell Medical Center, one of the top 10 institutions in the country. Following her residency, she was invited to complete a highly competitive cosmetic surgery observership in New York, where she perfected the skill of the latest surgical and non surgical techniques. She is fluent in 6 languages, including English, Russian, Ukrainian, Moldovian, Polish and German. In her leisure time, she is also a wife and a mother to her son and daughter and enjoys spending quality time with her family between Manhattan, Miami, the Hamptons and St. Barth’s. Trust your face and body to a top NYC expert, Dr.Avaliani, and experience unique Bespoke Beauty treatment plan by a true artist and expert.